Mark Sak has been a big part of the Michigan Outdoor Industry for over 20 years. He began his career as an outdoor writer and tournament angler on the Michigan Walleye Tour in 1994, and covered the tour in Michigan’s Premier Outdoor Publication, Woods-N-Water News. Mark gained a great deal of his fishing IQ while qualifying for 6 MWT championships. In 1999 Mark made the jump to the nationally televised In-Fisherman Professional Walleye Trail. During his 6 years on the PWT, Mark qualified for 2 National Championships. He received two Coleman Cool Under Pressure awards and three Navionics Spot on the Spot awards. Mark was on the national Promotional staff of Yamaha Outboards, Rapala, Off Shore Tackle and Jiffy Ice Augers. 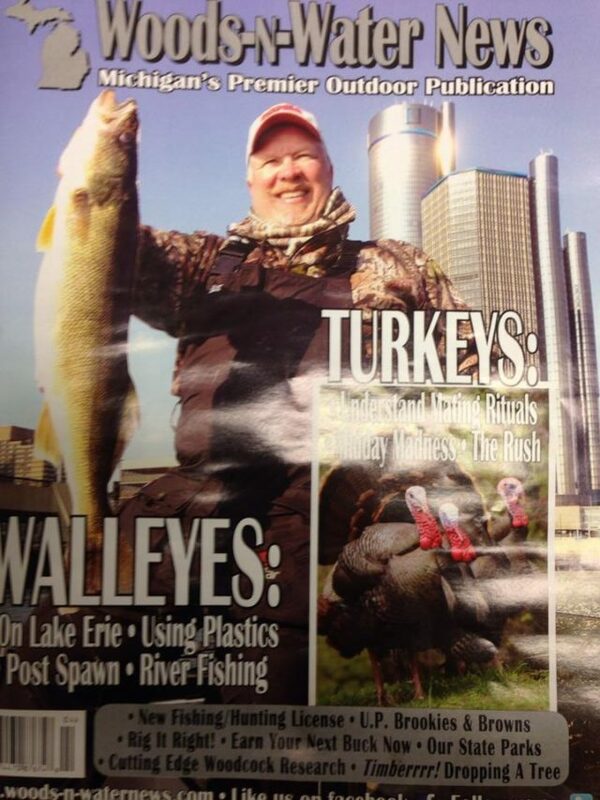 Mark’s articles were read in magazines like The Walleye Insider, In-Fisherman, Pheasants Forever Magazine, Michigan Outdoor News, Woods-N-Water News and Great Lakes Angler Magazine. He is also an accomplished photographer and has had hundreds of photographs published in print and online. In 2003, Mark joined the Pro staff of Mike Avery’s Outdoor Magazine Television and Radio, and stayed with this experienced and outdoor video producer for 5 years. A trip to Kodiak Island Alaska highlighted those five years and allowed Mark to be directly involved in video production. In 2006 Mark left the Outdoor Magazine to produce his own syndicated radio show on the Michigan Talk Radio Network. Mark has also been diligent in giving back to the outdoors. He was a President of Lapeer County Pheasants Forever from 1999 to 2012. He remains with the chapter today. The Lapeer County Chapter has received two Michigan State Council of Pheasants Forever Youth Mentor awards for the chapter’s work with youth hunting. Mark has been an active part of Pheasants Forever Habitat program and in 2009 was nominated for Field and Stream Magazines “Hero of Conservation Award” for assisting in developing a seed program to assist the State of Michigan’s CREP program through USDA and the Soil Conservation Service. This program assisted in keeping hundreds of thousands of pounds of sediment from eroding into Saginaw Bay through buffer strips while creating hundreds of acres of habitat for Upland Game birds. Mark also continues to work diligently with youth fishing events and has been involved with the Lake St Clair Walleye Association’s Youth Ice fishing event as well as several other youth events around Michigan. Along with the help from Jiffy Ice Augers, Mark provides Jiffy products for children attending these events. Currently, Mark continues to write and is now moving into the video world after leaving the Pro Walleye Tour in 2007. He is providing a new form of media that is keeping up with the astounding changes in the Outdoor media world. Mark’s video journals are now being seen monthly on www.woods-n-waternews.com. Mark is one of the few writers in the country that is producing the written word with accompanying video. He has received both OWAA national writing awards and MOWA writing awards. He also has recently assisted with craft award judging for the Ohio Outdoor Writers Association and has recently been published in OWAA’s Outdoors Unlimited with a “how to” article on web video. Mark is also the current 2015-2016 President of the Michigan Outdoor Writers Association and is also the Future Sites Chair. His focus is assisting MOWA with the leadership needed to keep the organization in the spotlight with media across the state of Michigan. Mark is also an active member of the Outdoor Writers Association of America. He is married to wife Shannon and has 1 daughter Jacquelyn.